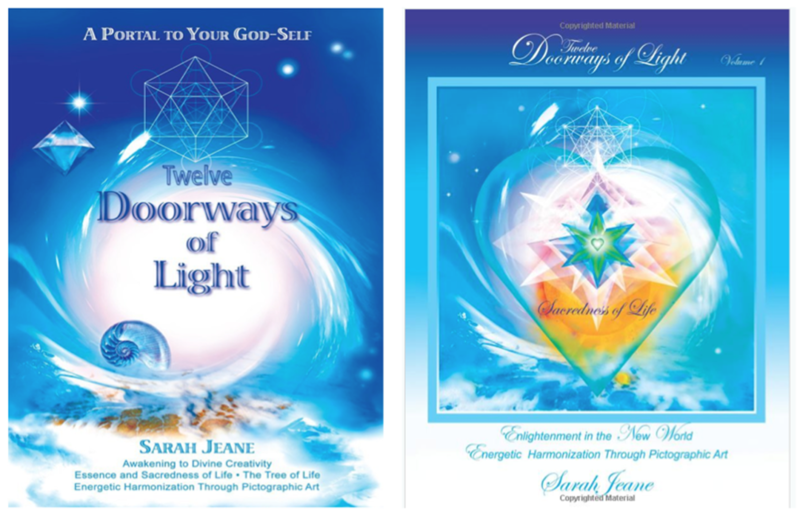 Sarah Jeane's two books published by Balboa Press introduce and remind us of how we can attract an experience of ease and Grace in our journey of life through many insightful expressions and experiences she shares. If you have the patience to slow down a bit, you will be pleasantly surprised at the timely practical wisdom and focus articulated in a fresh new way, ever reminding us of the strength and power we all have to grow in gratitude and abundance emanating from the heart and outward into our conscious minds and actions we take in the world. "A Portal to Your God-Self" is a wealth of inspiration and evolves into many unusual and dynamic insights clearly coming from a real experience to benefit everyone and strikes a universal chord of Love and Light. Sarah Jeane's truly awe inspiring art works reveal a vision and extraordinary attention to detail, combined with exquisite nuances of color and vibration. You will detect this world class talent extending and permeating into the carefully written words and art of the books. From sweeping deep assertions to the ultimate truth of our true nature to fine streams of what we do with our choices and what we focus on and how that affects everyone including ourselves, it is a read worth far more than what is received from watching a movie or dealing with all the incoming demands of the world. "Sacredness of Life" contains pictographic art that is so peaceful and pleasing to look at, it actually makes you feel good and activates a beautiful vibration within you. It is impossible not to appreciate the apex talent in this artwork clearly coming from a divinely inspired vision and experience, and manifested through the perfectionist's pallet perfect colors, balance, with beauty and ancient symbology. A rare thing indeed to have two publications literary (262 pages of spiritual insights) and art (color book) complimenting each other with a full divine inspiration from the Tree of Life. You are in for a real treat.